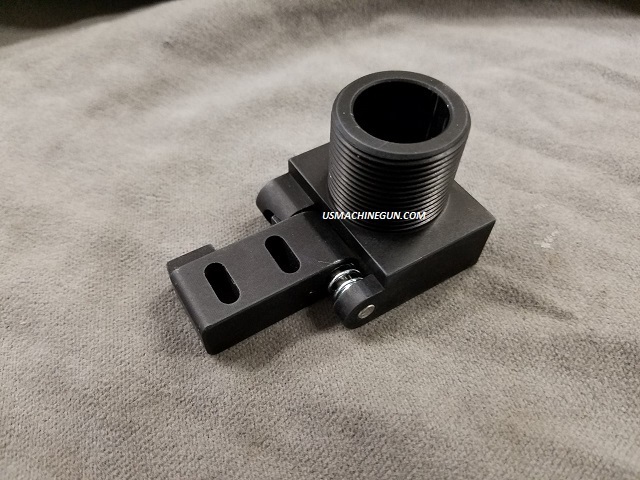 This Heavy Duty folding adapter can be used to thread into any AR15 type female buffer tube threaded hole. It offers a flat mount on the other side with the standard ACE type (2) 10/32 threaded holes to mount an ACE stock, one of our flat mount rear stocks or other similar type rear stocks. Upgraded folding adapter offers upgraded machined parts, machined improved locking buffer tube slot to prevent turning, upgraded stiffer Nickle plated hinge spring, improved, wiggle free locking hinge, locks open and closed, and harder coating. Does not work with standard AR receivers at this time. Fits CZ Skorpion rear AR buffer tube adapters. More photos to follow.